A few years back while I was on retreat, I received an emergency phone call. A teenage girl who volunteered with us had committed suicide while at home. I had to ask twice, Are you sure? She was vivacious. Pretty. Friendly. Intelligent. Loved. At the funeral, we learned from her parents that their daughter struggled for years with depression and had attempted to take her own life several times before. This time she succeeded, and the parents were left with unanswered questions. They tried therapy of all sorts to help her, and although she seemed to love life, when not with her friends, the darkness would overwhelm her. But why? What could cause her to want to take her own life? “…not because of any righteous deeds we had done but because of his mercy…” (Titus 3:5). The Old Testament gives hope to those suffering from the weight of sin, reminding us of God’s mercy and calls us to trust in Him. 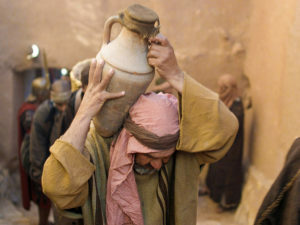 Jesus summarizes the mercy of God in the parable of the prodigal son. 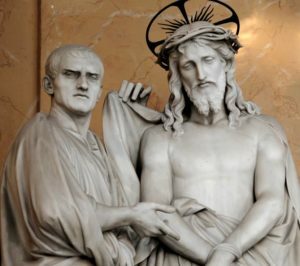 Blessed John Paul II explains this loving mercy, “This love is able to reach down to every prodigal son, to every human misery, and above all to every form of moral misery, to sin. When this happens, the person who is the object of mercy does not feel humiliated, but rather found again and “restored to value” (Dives in Miserdicordia, Bl. John Paul II, Ch. 4). The Catechism also states how, “…in cases of grave psychological disturbances, anguish, or grave fear of hardship, suffering, or torture can diminish the responsibility of the one committing suicide” (2282). Therefore, we should not despair of eternal salvation of persons who have taken their own lives. By ways known to God alone, He can provide the opportunity for repentance. We as a Church must pray for such persons who have taken their own lives (2283). 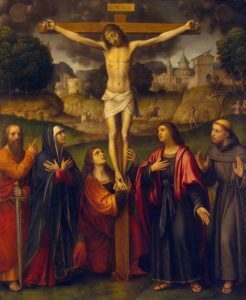 Eternal Father, I offer you, the Body and Blood, Soul and Divinity of your Dearly Beloved Son, Our Lord, Jesus Christ. In atonement for our sins and those of the whole world. Eternal rest grant unto them, O Lord, and may Your perpetual light shine upon them. May they rest in peace. Amen.